1. The above mentioned Special Leave Petition is filed within time. 2. The Petition is barred by time and there is delay of__________days in filling the same against order dated ___25/05/2010___ Days delay has been filed. 3. There is delay of _______________ days in refilling the petition and petition for condonation of ___________days delay in refilling has been filed. The instant SLP is against the final order/judgment dated 25.05.2010 of Delhi High Court whereby a public interest litigation (PIL) filed by the petitioners was dismissed. The petitioners had filed a petition seeking a thorough court monitored investigation into the 2G spectrum allocation scam that has caused the national exchequer an estimated Rs. 70,000 crores and huge national outrage. Simply in terms of the scale of money that has been swindled, it is easily the biggest scam that this country has ever seen. A sitting Union Cabinet Minister has been found to be directly involved and tapes of his conversations with corporate middlemen are available. The entire investigation being carried out by CBI has been scuttled to protect vested political interests, corporate and other middlemen involved. That is why to ensure people's right to life in a corruption-free environment and to enforce the rule of law; the petitioners had moved the Delhi High Court. The petitioners had sought a thorough investigation by a court-appointed SIT, or in the alternative, the investigation which is being carried out by the CBI to be court monitored. 1. Most estimates put the loss to the national exchequer at a whopping Rs. 70,000 crores making it the biggest scam this country has ever seen. 2. It directly implicates a sitting Union Cabinet Minister Mr. A Raja. Also other senior officials of Department of Telecom, Telecom Regulatory Authority of India, corporate entities and middlemen are involved and are the beneficiaries of the scam. 3. The modus operandi of the scam is an open secret and the role played by Department of Telecommunication under Mr. Raja have been indicted by the Central Vigilance Commission (CVC), Central Bureau of Investigation (CBI), Comptroller & Auditor General of India (CAG), Directorate General of Income Tax (DGIT) and the High Court of Delhi on different occasions. 4. CBI which is investigating the case works, more or less, as a department of the Central Government. Here it is investigating a case against the corrupt policies and actions of the Central Government. Also, CBI has a very bad record in politically sensitive cases as is clear from the adverse comments of this Hon'ble court itself on different occasions. This is a case which is extremely politically sensitive and has caused huge embarrassment to the Central Government. It also involves a sitting cabinet minister who belongs to a political party which is supporting the Government without which the Government cannot survive. "(T)he CBI and other Governmental agencies had not carried out their public duty to investigate the offences disclosed; that none stands above the law so that an alleged offence by him is not required to be investigated; that we would monitor the investigations, in the sense that we would do what we permissibly could to see that the sense that we would do what we permissibly could to see that the investigations progressed while yet ensuring that we did not direct or channel those investigations or in any other manner prejudice the right of those who might be accused to a full and fair trial. We made it clear that the task of the monitoring court would and the moment a charge-sheet was filed in respect of a particular investigation and that the ordinary processes of the law would then take over. Having regard to the direction in which the investigations were leading, we found it necessary to direct the CBI not to report the progress of the investigations to the person occupying the highest office in the political executive this was done to eliminate any impression of bias or lack of fairness or objectivity and to maintain the credibility of the investigations. In short, the procedure adopted was of "continuing mandamus". Even after this matter was brought to the court complaining of the incrtia of CBI and the other agencies to investigate into the offices because of the alleged involvement of several persons holding high offices in the executive, for quite some time the disinclination of the agencies to precede with the investigation was apparent. The accusation, if true, revealed a nexus between high ranking politicians and bureaucrats who were alleged to have been funded by a source linked with the source funding the terrorists. In view of the funding also through foreign currency, some undesirable foreign elements appeared to be connected. This revealed a grave situation poising a serious threat even to the unity and integrity of the nation. The serious threat posed to the Indian polity could not be underscored. The obvious need for an expeditious and thorough probe which had already been delayed for several years could not but be countenanced. The continuing inertia of the agencies to even commence a proper investigation could not be tolerated any longer. In view of the persistence of that situation, it becomes necessary as the proceedings progressed to make some orders which would activate the CBI and the other agencies to at least commence a fruitful investigation. Merely issuance of a mandamus directing the agencies to perform their task would be futile and, therefore, it was decided to issue directions from time to time and keep the matter pending requiring the agencies to report the progress of investigation so that monitoring by the court could ensure continuance of the investigation. It was, therefore, decided to direct the CBI and other agencies to complete the investigation expeditiously, keeping the court informed from time to time of the progress of the investigation so that the court retained siesin of the matter till the investigation was completed and the chargesheets were filed in the competent court for being dealt with, thereafter, in accordance with law." The High Court dismissed the petition by relying on Kunga Nima Lepcha & Ors vs. State of Sikkim & Ors by this Hon'ble Court in W.P. (C) 353 of 2006 given on 25 March 2010 which had totally different facts and whose prayer was to initiate investigation. The lordships in that case never stated that a writ court cannot monitor an investigation or not order an SIT investigation. Petitioners humbly submit that High Court decision relying on the said judgment merely on the basis of the oral submission of the Central Government is erroneous. The Department of Telecommunications (DoT), under Mr. A Raja (Respondent No. 5), the present Minister for Communications & IT, has given away scarce national resources (spectrum) at throw away prices to private companies. In January 2008, the DoT had awarded 122 Universal Access Service (UAS) licenses with spectrum on first-come-first-served (FCFS) basis at the rate of Rs 1,658.57 crore per pan-India UAS license which was the price discovered in the auction of spectrum in 2001. By 2008, the value of this spectrum had multiplied manifold. The Government got a total of only Rs 9,014 crore as license fee from these 122 licenses, which was much lower than the market price of the spectrum. This has caused an estimated loss of about Rs 70,000 crore to the exchequer. Acting on complaints, the Central Vigilance Commission (CVC) after conducting a preliminary inquiry entrusted investigation of the case to the Central Bureau of Investigation (CBI), the Respondent No.2. After preliminary investigation, on October 21, 2009 the CBI lodged an FIR against "unknown officers of the Department of Telecommunications (DoT) and unknown private persons/companies and others" for causing wrongful loss to the government by criminal misconduct and criminal conspiracy in distribution of Universal Access Service (UAS) licenses in January 2008. The CBI also conducted a raid of the premises of the DoT on October 22, 2009 and seized all the relevant files. During course of investigation, it came across a number of incriminating evidences against influential persons. This included the telephone recordings by the Directorate of Income Tax between private parties and Mr. A Raja. The CBI has received the CD of these communications in November 2009 itself. Despite the passage of more than eight months, it has not summoned the suspects, nor filed any charge-sheet. Rather, under pressure, it has transferred a senior officer of the team who was investigating the matter. It is now clear that Government is attempting to close the case and is trying to ensure that no proper investigation is carried out. Permission to interrogate people who are involved is being denied and the investigating officers are being replaced. Government is trying to use its control over CBI to put a lid on this huge scam which has caused the Government considerable embarrassment. The entire investigation has been virtually aborted. · Granting spectrum at 2001 prices when there was a nascent market rather than at contemporary market prices in 2008 when there was huge demand and the prices had increased almost 20 times. · Inviting companies who were not in the telecom business to put in applications for licences for 2G spectrum. · Granting licences on the basis of "first come first served" rather than through a transparent public auction. · Resorting to the announcement of arbitrary cut-off date (01.10.2007) to stop legitimate applicants from applying, thereby creating sellers (who were not in the telecom business) and buyers (genuine telecom companies who could not apply or were left out due to the manner in which cut-off date was implemented). · Changing the cut-off date illegally to award precious 2G spectrum only to a handful of applicants (120 out of 575). · Cherry-picking and manipulating multiple recommendations of the TRAI to award licences to a favoured few companies. · Further allowing these companies to sell equity or conduct private auctions and garner large sums. · Ignoring specific directions of the Law Ministry to seek the opinion of the Empowered Group of Ministers (EGoM) on the matter. Recently, the 3G spectrum was allocated to the telecom operators. This time the matter was referred to a GoM and a transparent auction was held. The national exchequer was richer by a whopping Rs. 1 lakh crores and no operator was crying hoarse of any competitor being advantaged over the other and no one was claiming that any public official made money. Exactly the opposite was done in the 2G spectrum allocation in 2007-08 and the exchequer was swindled by Rs 70,000 crores and few, mostly unknown, companies benefitted out of non-transparent deals. Secretary DoT, D S Mathur wrote an internal note recommending that only legally tenable option would be to hold transparent auction. This was rejected by Respondent No. 5. Finance Secretary Dr. Subbarao wrote to DoT on 22.11.2009 questioning the concept of first-come-first-served and sale at 2001 prices. His concerns were dismissed by DoT. It is reiterated that the authority should be formally consulted if there is any deviation from the totality of the recommendations." DoT under Mr. Raja not only ignored the letters, but still cherry-picked from TRAI's recommendations, implementing different ones at different times and modifying them suitably to suit some favored companies. These actions are also ultra vires as per fifth proviso of Section 11 of TRAI Act which states: "
if Central Government having considered that recommendation of the Authority , comes to a prima facie conclusion that such recommendation cannot be accepted or needs modifications, it shall, refer the recommendations back to the Authority for its reconsideration." Law Minister informed Respondent No. 5 that this matter deserved to be placed in front of Empowered Group of Ministers. Respondent No. 5 rejected this specific direction by calling it "totally out of context." Incidentally it is the EGoM that decided the auctions for 3G spectrum which has now yielded about Rs. 60,000 crores. Prime Minister wrote 2 letters to Respondent No. 5 on 02.11.2007. PM raised concerns about first-come-first-served and asked him to consider auctioning of the scarce spectrum. Respondent No. 5 wrote back to PM rejecting his directions. The actions of the Government in scuttling/ attempting to scuttle the investigation are arbitrary and illegal. The record of the CBI in politically sensitive cases leaves much to be desired. The rule of law requires a thorough investigation, into this huge scam that has cost the exchequer tens of thousands of crores, be monitored by this Hon'ble court. This Hon'ble Supreme Court in Vineet Narain case (supra) while discussing the basic principles of public life had specifically stated that any deviation from the path of rectitude by any public servant amounts to a breach of trust and must be severely dealt with instead of being pushed under the carpet. It was further stated that if the conduct amounts to an offence, it must be promptly investigated and the offender against whom a prima facie case is made out should be prosecuted expeditiously so that the majesty of law is upheld and the rule of law is vindicated. That the prevailing corruption in the country in high places and the unwillingness of the government to initiate any investigation so that the culprits are punished, seriously impairs the right of the people of this country to live in a corruption and criminal free society. This is a violation of Article 21 of the Constitution. The right to life guaranteed to the people of this country also includes in its fold the right to live in a society, which is free from crime and corruption. The problem of corruption which is of an enormous magnitude in the country is bound to have its deleterious effect on the minds of young people of the country and leads them into the system which forces them to be a part of corruption changing their lives for worse. Thus, it is necessary that the investigating agency be compelled to do a thorough investigation, without any interference in a case where there is involvement of a senior minister, senior public servants and big corporate houses in the scam. The Division bench of Delhi High Court by their impugned Order & Judgment, dated 25.05.2010, overlooked most of the above facts and points of law. Hence, the present Special Leave Petition. "..it was decided to issue directions from time to time and keep the matter pending requiring the agencies to report the progress of investigation so that monitoring by the court could ensure continuance of the investigation. It was, therefore, decided to direct the CBI and other agencies to complete the investigation expeditiously, keeping the court informed from time to time of the progress of the investigation so that the court retained siesin of the matter till the investigation was completed and the chargesheets were filed in the competent court for being dealt with, thereafter, in accordance with law." May 2007 Mr. A. Raja took over as the Telecom Minister. A copy of the press release is annexed as Annexure P1. 2007 Process of allotment of precious and scarce national resource Spectrum was initiated by the Department of Telecommunications (DoT). 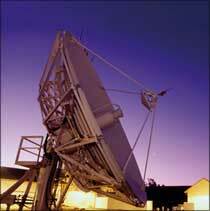 2G Spectrum for telecom along with Universal Access Service (UAS) Licences were to be awarded. Senior officials of DoT D S Mathur and Manju Madhavan retired prematurely who had argued against allotment of spectrum on first come first served basis. 25.09.2007 After a few favoured companies had put in their applications (for eg. Unitech Group had put in 22 applications through 8 companies), Telecom Ministry issued a press note (ante-dated as 24.09.2007) stating that it would not accept applications beyond 01.10.2007. A copy of the said note is annexed as Annexure P2. During the next few, 373 additional applications were received. 01.10.2007 As on this date, i.e. stated cut-off date, DoT receives 575 applications for UAS licences by 46 companies. A list of applicants is annexed as Annexure P3. 02.11.2007 After a lot of concerns were raised in some quarters, Prime Minister wrote to the Telecom Minister Mr. Raja directing him to ensure that 2G spectrum was allocated in a fair, transparent and efficient manner and also to ensure that licence fee was properly revised. This was not done and many of Prime Minister's demands were rejected by Mr. Raja. Copy of the 2 response letters that Mr. Raja wrote to PM on the same day are annexed as Annexure P4. 22.11.2007 Secretary, Ministry of Finance wrote to the Secretary, Department of Telecommunications expressing concerns over the procedure adopted for the allocation of 2G spectrum. The letter also stated, "It is not clear how the rate of Rs. 1600 crore, determined as far back as in 2001, has been spliced for a license given in 2007 without any indexation, let alone current valuation. Moreover, in view of the financial implications, the Ministry of Finance should be consulted in the matter before you finalized the decision. I request you to kindly review the matter." The demand for the review was rejected. A copy of the said letter of the Finance Secretary is annexed as Annexure P5. 10.01.2008 DoT issued a controversial press release. It stated that DoT has decided to issue licences on the basis of first-come-first served basis. It stated that those who applied till 25.09.2007 would be given licences. Thus the last date for submission of the applications was advanced from 01.10.2007 to 25.09.2007 by an announcement made much after that period was over. A copy of the said release is annexed as Annexure P6. Later in the same day DoT at about 2.45pm posted an announcement on its website that those who apply between 3.30 to 4.30 pm would be issued licences. Those who deposited their fees along with documentation first were favoured in accordance with the controversial 'first come first served' system. Thus the favoured few companies had their drafts of hundreds of crores and documentation ready. A copy of the said announcement is annexed as Annexure P7. 2008 Swan Telecom sold 45 percent of its shares for Rs 4200 crores which had obtained the licence for only Rs 1537 crores despite not having any assets. Unitech Wireless sold 60% of its stake to Telenor for Rs 6200 crores which had obtained the spectrum for Rs. 1651 crores. Tata Teleservices sold 26% of its share to DoCoMo, Japan for RS. 13,230 crores. 04.05.2009 A detailed complaint was made by the Petitioner No. 2 to the Central Vigilance Commission (CVC) on the illegalities in the allocation of spectrum to Loop Telecom. A copy of the complaint is annexed as Annexure P8. "As for the mystery as to who owns Swan Telecom, which even the Ministry of Company Affairs is not able to solve, the answer is: it is the company/person which bought 992 crore worth of Re 1/-, 8% preference shares invested by Reliance Communication in Swan Telecom by paying a hefty premium of Rs. 999 which was overvalued by 99900% is the actual owner of Swan Telecom. The company which bought the investment of Reliance Communication at the fantastic overvalued price is reportedly registered in Mauritius. The trading of Swan Telecom, by transfer of ownership of the holding company owning 90% of the shares- Tiger Trustee- took place on the very day that the other license application of the ADAG group-Reliance Communication- was given the license. The fact that the Swan Telecom with an asset of Rs 1100 crores in paid up capital was sold for a mere Rs 4.99 crores on the very day the license was granted to Reliance Communication -18/10/07- establishes that the sale was a bribe for giving the license." The said complaint is annexed as Annexure P9. 2009 Acting on the said complaints, CVC finds a prima facie case and directs the Central Bureau of Investigation (CBI) to investigate the corruption in allocation of 2G spectrum. the impugned press release dated 10.01.2008 is quashed." A copy of the said judgment is annexed as Annexure P10. This decision has been upheld subsequently and as per prevailing position the press release announcing the cut-off date of 25.09.2007 stands quashed. 21.10.2009 CBI after preliminary investigation, registers a case and files an FIR under various sections of the IPC and Prevention of Corruption Act. The case has been registered by CBI vide RC DAI 2009 A 0045 dated 21.10.2009 u/s 120-B of IPC r/w Sec 13(2) r/w Sec 13(1)(d) of Prevention of Corruption Act, 1988 against "unknown officers of the Department of Telecommunications (DoT) and unknown private persons/companies and others". The relevant part of the said FIR is annexed as Annexure P11. 22.10.2009 In an unprecedented move, CBI raids the offices of Department of Telecom. "The allegation being investigated is relating to criminal conspiracy between certain public servants and private persons in grant of UAS Licenses in the year 2007-08. It has been reliably learnt that certain middlemen including one Ms. Nira Radia of M/s Noesis Consultancy were actively involved in the above mentioned criminal conspiracy. It is understood that the office of Director General of Investigation, Income Tax keeps information regarding such undesirable contact persons using various methods of surveillance including telephonic surveillance. In case your office is in possession of any information or records pertaining to any middleman including Ms. Nira Radia regarding award of UAS licenses, the same may please be made available to this office for the purpose of investigation." A true typed copy of the said letter is annexed as Annexure P12. "On the basis of specific information received from the CBDT; the telephone lines of Ms. Nira Radia and some of her associates were put under observation after obtaining permission from the Home Secretary. Ms. Nira Radia is Chief of M/s Vaishnavi Corporate Consultants Pvt. Ltd., M/s Noesis Strategic Consulting Services Pvt. Ltd., Ms. Vitcom and M/s Neucom Consulting. These companies are involved in consulting in Telecom, Power, Aviation and Infrastructure. These entities not only manage the media but as per conversations, apparently try to influence policy changes and decisions of the various government departments to suit the commercial requirements of their clients. 1. From conversations it appears that Ms. Nira Radia might have had some role with regards to the award of Telecom licenses. In a conversation she guides a new telecom operator on the need to delay the inflow of funds from the overseas investor and not to give the impression to the government that here has been any 'windfall' profit. 2. There are some direct conversations between Ms. Radia and Telecom Minister. In some other conversations Ms. Radia Boasts to have helped some of the telecom operators in their efforts to obtain licenses/spectrum's. Radia has also been in regular touch with Shri Chandolia." The information received including the said letter is annexed as Annexure P13 (colly). 24.11.2009 The Division Bench of the Delhi High Court headed by Hon'ble Chief Justice dismissed the appeal challenging the decision of the single judge and also imposed a cost of Rs. 20,000 on Union of India stating that its actions were tantamount to changing the rules after the game has begun and were arbitrary and irrational. 25.03.2010 This Hon'ble Court delivers the judgment in Kunga Nima Lepcha & Ors vs. State of Sikkim & Ors (W.P. (C) 353 of 2006) which had totally different facts and whose prayer was to initiate investigation. The lordships never stated that a writ court cannot monitor an investigation or not order an SIT investigation. Petitioners humbly submit that High Court decision relying on the said judgment is erroneous. 31.03.2010 Auditor of the Comptroller and Auditor General of India (CAG) gives his report detailing how the entire scandal was carried out and noted that the "whole process of issue of licence lacked fairness and transparency." 02.04.2010 Shri Vineet Agarwal DIG of CBI (Investigations) who was closely investigating the case was transferred to Maharashtra. The Director General of Income Tax (Investigations) Shri Milap Jain is also transferred. Nira: I've sent you an SMS and I've been speaking to Kani. So, basically what they are saying is that you should be there because of the Dalit dispensation and Dravidian party. The leader, if it was left to them, he would have spoken for the party first. This is unfortunate that his family is coming in the way. Cho Ramaswamy has given a favourable remark that it should be limited to this things. I've been talking to Kani. She spoke to me. She said no independent. They are not giving independent, just now. Raja: My case is cleared? Nira: Yeah, your case was cleared last night itself. No, what is happening with Daya? Raja: Then..rest of the thing is Textiles or fertilizers? Nira: Not for Daya though, Azhagiri or Daya only one can come in? Raja: No, two can come..
Nira: It will be difficult for the leader to justify three family members. The transcripts from the channel dated 06.05.2010 and 07.05.2010 are annexed as Annexure P14. These confirm the letter of the Director of investigations of Income Tax that they had tapped Nira Radia's phones and that the conversations contain a lot of incriminating material. May 2010 For the allocation of 3G spectrum, an embarrassed Government constitutes a GoM thereby reducing the DoT under Mr. Raja as a mere implementing body and not a policy making one. A transparent public auction is conducted and the national exchequer receives over Rs. 1 lakh crore. Petitioners have learnt that CBI was trailing the payment to the tune of hundreds of crores in Indian and overseas bank accounts and had nearly cracked the source. But this trail was abandoned. Petitioners also learnt that the investigations have virtually been aborted into the entire criminal conspiracy. Vineet Agarwal, DIG of CBI (Anti-corruption branch) who was investigating and closely pursuing the investigation has been transferred to Maharashtra on 02.04.2010. Milap Jain, DG of Income Tax (Investigations) has been transferred to International Taxation. CBI has also been denied permission to interrogate Nira Radia whose phones were tapped and highly incriminating evidence was collected against Telecom Minister, other senior functionaries and big corporate & media houses. News report dated 09.05.2010 on this is annexed as Annexure P15. 18.05.2010 PetitionersCentre for Public Interest Litigation (a registered society), Telecom Watchdog (a registered society) and Paranjoy Guha Thakurta (veteran journalist, with specialization in political economy) approached the Delhi High Court praying that the scam be investigated by the SIT or by the CBI and the said investigation be court monitored for unearthing the role of Respondent No. 5, senior officers of the DoT, TRAI and corporate and other private entities & middlemen. Petitioners made the court aware of the dubious role CBI is playing in the instant case and the kind of role it has played in the past politically sensitive case. A copy of the writ petition is annexed as Annexure P16. 25.05.2010 The said petition was dismissed by the Delhi High Court stating that the prayer of the petitioners cannot be granted. .08.2010 Hence the instant Special Leave Petition. 1. The Petitioner is filing the present Special Leave Petition against the impugned Final Order & Judgment, dated 25.05.2010, passed by the Division Bench of the High Court of Delhi at New Delhi in W.P. (C) No. 3522/2010 whereby the High Court dismissed the Petition filed by the Petitioners. I. Whether the High Court erred in not appreciating the law laid down in Vineet Narain case (supra) wherein it was held that cases of corruption by public officers must be dealt with strictly and not be allowed to push under the carpet? II. Whether the High Court erred in not taking into account the nature and the scale of the 2G spectrum scam that has defrauded and swindled the national exchequer an amount to the tune of tens of thousands of crores? III. Whether the High Court erred in dismissing the case without appreciating the right to live in an environment free of corruption is part of right to life guaranteed under Article 21 of the Constitution? IV. Whether the High Court erred in appreciating the fact that the case against the Central Government is being investigated by CBI which in under the control of the Central Government and as such incapable of carrying out a thorough and impartial investigation on its own as is borne out of its record in past cases? V. Whether the High Court erred in not appreciating that in Vineet Narain case it was held that Constitutional Courts can monitor an on-going investigation in certain special circumstances till a charge-sheet is filed in the interest of justice? The Petitioners state that no other Petition seeking leave to appeal has been filed by them against the final judgment and order of the Hon'ble Division Bench of the High Court at New Delhi, dated 25.05.2010 passed in W.P. (C) No. 3522/2010 titled Centre for Public Interest Litigation & Ors Vs. Union of India & Ors. A. That the petitioners' petition was to seek a thorough court monitored investigation into the 2G spectrum allocation scam that has caused the national exchequer an estimated Rs. 70,000 crores and huge national outrage. Simply in terms of the scale of money that has been swindled, it is easily the biggest scam that this country has ever seen. A sitting Union Cabinet Minister has been found to be directly involved and tapes of his conversations with corporate middlemen are available. The entire investigation being carried out by CBI has been scuttled to protect vested political interests, corporate and other middlemen involved. This petition into such a serious scam should not have been summarily dismissed considering the nature and extent of the scam and the shocking facts of this case. B. That the Division Bench erred in not appreciating the judgment in Vineet Narain case wherein it was held that Constitutional/Writ Courts can in certain cases monitor an investigation till a charge-sheet is filed in the interest of justice. C. The High Court dismissed the petition by relying on Kunga Nima Lepcha & Ors vs. State of Sikkim & Ors by this Hon'ble Court in W.P. (C) 353 of 2006 given on 25 March 2010 which had totally different facts and whose prayer was to initiate investigation. The lordships in that case never stated that a writ court cannot monitor an investigation or not order an SIT investigation. Petitioners humbly submit that High Court decision relying on the said judgment is erroneous. D. CBI has had a reputation of being pliant to the Government at the Centre. Its role in Bofors corruption cases, and corruption cases against political leaders like Mulayam Singh Yadav, Lalu Yadav, and Ms. Mayawati are well documented. CBI changes its tune according to the change of political mood of the Central Government. E. That the prevailing corruption in the country in high places and the unwillingness of the government to initiate any investigation so that the culprits are punished, seriously impairs the right of the people of this country to live in a corruption and criminal free society. This is a violation of Article 21 of the Constitution. The right to life guaranteed to the people of this country also includes in its fold the right to live in a society, which is free from crime and corruption. The problem of corruption which is of an enormous magnitude in the country is bound to have its deleterious effect on the minds of young people of the country and leads them into the system which forces them to be a part of corruption changing their lives for worse. Thus, it is necessary that the investigating agency be compelled to do a thorough investigation, without any interference in a case where there is involvement of ministers, senior public servants and big corporate houses in the scam. A. The entire investigation has been effectively scuttled. Ms. Nira Radia, whose conversation tapes with Telecom Minister have been available with CBI for about 9 months has not even been called for questioning. Unless this Hon'ble court intervenes this huge scandal is likely to be swept under the carpet by the Central Government. The Petitioners humbly submit that balance of convenience is in their favour. (a) Grant Special Leave to Appeal against the impugned Final Order and Judgment dated 25.05.2010 passed by the High Court at New Delhi in W. P. (C) No. 3522/2010. (b) Pass such other and further order or orders as this Hon'ble Court may deem fit and proper in the facts and circumstances of the case. (a) Call for the entire records, documents from CBI and ED regarding investigation into the 2G spectrum scam and direct the CBI and ED to produce regular and periodic status reports in the matter of 2G spectrum scam investigations before this Hon'ble court. (b) Issue such other order or direction which this Hon'ble Court may deem fit in the facts and circumstances of this case. AND FOR THIS ACT OF KINDNESS THE PETITIONERS AS IN DUTY BOUND SHALL EVER PRAY. DRAWN BY: Pranav Sachdeva, Adv. Certified that the Special Leave Petition is confined only to the pleadings before the Court whose judgment/order is challenged and the other documents relied upon in those proceedings [except for Annexures P18 to P24]. No additional facts/documents [except for Annexures P18 to P24] have been taken therein or relied upon in the Special Leave Petition. It is further certified that the copies of the documents/annexures attached to the Special Leave Petition are necessary to answer the questions of law raised in the Petition or to make out grounds urged in the Special Leave Petition for consideration of this Hon'ble Court. This certificate is given on the basis of the instructions given by the Petitioners whose affidavit is filed in support of the Special Leave Petition. 1. That I am the General Secretary of the Petitioner No. 1 in the aforementioned SLP and being familiar with the facts and circumstances of the case, I am competent and authorized to swear this Affidavit. I have also been authorized by other petitioners to file this affidavit on their behalf. 2. That I have read and understood the contents of the Synopsis, List of Dates (Page No.____ to___), the Special Leave Petition (Page No.__ to ___), and Application for permission to file additional documents (page no. ___ to ____), I state that the facts therein are true and correct to the best of my knowledge and based on information received by me from various reliable sources which I believe to be true and nothing material has been concealed therefrom. 3. I state and certify that the Special Leave Petition is confined only to the pleadings before the Hon'ble High Court whose order is challenged and the other documents relied upon in those proceedings. 4. I further state and certify that the copies of the documents/annexures attached with the Special Leave Petition are necessary to answer the question of law raised in the Petition or to make out grounds urged in the Special Leave Petition for consideration of this Hon'ble Court. 5. I further state that all the Annexures to the Special Leave Petition are true copies of their respective originals. 6. I further state and submit that the names of the main parties are same as before the Hon'ble High Court. 7. I state that I have accordingly instructed my Advocate-on-Record and the Special Leave Petition and the accompanying documents have been drafted on the basis of my instructions as stated above. I have fully understood and am aware that on the basis of my instructions, the Advocate-on-Record will give and file a certificate certifying the above along with the Hon'ble Supreme Court of India. I, the above named Deponent, do hereby verify that the contents of the above Affidavit are true and correct to my knowledge, no part of it is false and nothing material has been concealed there from. Verified at New Delhi on this _____day of August 2010. 1. The Petitioners are filing the present Special Leave Petition against the impugned Final Order & Judgment, dated 25.05.2010, passed by the Division Bench of the High Court of Delhi at New Delhi in W. P. (C) No. 3522/2010 whereby the High Court dismissed the Petition filed by the Petitioners. 2. That the detailed facts and circumstances pertaining to the instant matter have been set out in the Special Leave Petition and as such are not being repeated herein for the sake of brevity. The Petitioners crave liberty to refer to and rely upon the same as when this Application is taken up for hearing. 3. Subsequent to the hearing of the petition W.P. (C) 3522/2010 in Delhi High Court and pursuant to the impugned Order, dated 25/05/10, passed in the said petition, the petitioner humbly prays for inclusion of the following documents. 4. That on 01.11.2007, Law Minister recommended that an Empowered Group of Ministers be set-up for the allocation of 2G spectrum as the issue cannot be dealt by only the DoT. This was rejected by DoT. A copy of the note of the Law Minister is annexed as Annexure P17. 5. That on 02.11.2007, Prime Minister wrote to the Telecom Minister Mr. Raja (Respondent No. 5) asking him to hold a transparent auction as the price of spectrum had increased. A copy of the said letter is annexed as Annexure P18. 6. That on 25.11.2007, Secretary of DoT and Member Telecom recommended on internal note holding of a public auction. A copy of the said internal note is annexed as Annexure P19. 7. That on 05.11.2009, Enforcement Directorate wrote a note that its Mumbai zone has not done any investigation even though a number of actionable items were there. The note pointed out that Ministry of Communication while granting license to M/s Loop Telecom ignored the fact the investment structure created by it is deliberately so created so as M/s Essar can control the stake to whom licence could not have been given. A copy of the said note is annexed as Annexure P20. 8. That on 24.11.2009, Division Bench headed by the Chief Justice upheld the decision of the single bench quashing the change in the cut-off date. A copy of the said judgment is annexed as Annexure P21. 9. The Auditor of the Comptroller & Auditor General of India (CAG) which is a Constitutional authority has given its scathing report as to how Mr. Raja and DoT carried out the scam to benefit a few chosen firms and defraud the country to the tune of tens of thousands of crores. The said report dated 31.03.2010 is annexed as Annexure P22. 10. That after the petition was filed, the petitioners got hold of a letter written by Dr. Rajeev Chandrasekhar (Member of Parliament, Member of Standing Committee on Finance, Member of Consultative Committee on Finance and Former President of FICCI) to the Prime Minister stating how the country has been swindled of Rs. 50000 crores and urging him to identify the culprits and punish them. The said letter dated 11.05.2010 is annexed as Annexure P23. 11. That the above additional documents are related to the instant case. 12. That the present Application is being made bona fide and in the interest of justice. (i) Permit the Petitioners to file the Additional Documents/ Annexure P17 to Annexure P23. (ii) Pass other or further orders as may be deemed fit and proper. AND FOR THIS ACT OF KINDNESS THE APPLICANTS AS IN DUTY BOUND SHALL EVER PRAY.